Last October, a Persona 4 figure featuring Izanagi and his crazy crotch surfaced. And now there's another one. And it comes with a friend. Oh, and a crazy crotch! Part of a "Persona 4 Twin Pack DX", Izanagi is packaged with Slipping Hablerie, the first boss in the game's Twisted Shopping District. 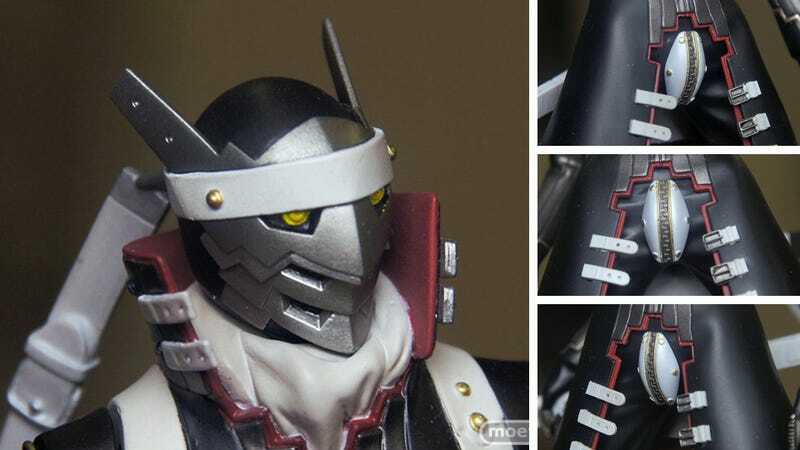 While the previous Izanagi was from MegaHouse, this set is from PhatCompany and is priced at ¥3,900 (US$51). It will be out this May in Japan. More photos in the link below.